A.O.I.F.A. 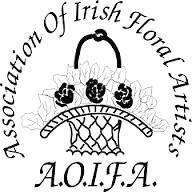 is a national organisation encompassing 80+clubs all over Ireland. This year we celebrate our 45th Anniversary. The executive of the association moves around the country every 2 years and for the period 2018/2020 it is back in the Cork Area. At club level you get to experience a wide variety of demonstrators and learn from teachers with a vast amount of knowledge. Gardening also plays a hugh part in clubs activities. We are delighted that the Association have selected Kinsale as the venue for the 2019 Competition & Social Weekend to be based over the weekend in Actons Hotel. The weekend will see competitors arrive from all corners of Ireland from Thursday 11th April – Sunday 14th April 2019 … Already on the agenda are the harbour tour and walking tours and a number of the shops have already been approached and have been most generous with discounts and prizes. We will be including a town map and guide to the welcome packs for the weekend. AOIFA – What we do!!! A vast array of lessons, advanced courses, teaching and demonstrating courses as well as competitions and festivals are hosted by clubs annually. We have had many representatives on the World Stage with members having just returned from the World Show in Barbados and Canada Blooms as well as the Chelsea Flower Show. We had the honour of hosting the 11th World Show in the RDS in Dublin In 2014. We host a ‘Friendly Bouquet’ day every year in September where clubs make bouquets and place them around towns and villages hoping to bring some joy and friendship to the people that receive them. A new charity is chosen every two years and all clubs fundraise for the charity. In the past six years alone the association has raised and donated €36,000 to Cystic Fibrosis Ireland, €73,000 to MS Ireland and last year €54,000 to Irish Cancer Research and the chosen incoming charity for the next two years is Pieta House. This year we were delighted to be in attendance at Cork Summer Show and to have the opportunity to showcase the work we do all around the country.